The Baker Hughes U.S. rig count was down 13 this week to 744. Given current commodity prices, expect this trend to continue. 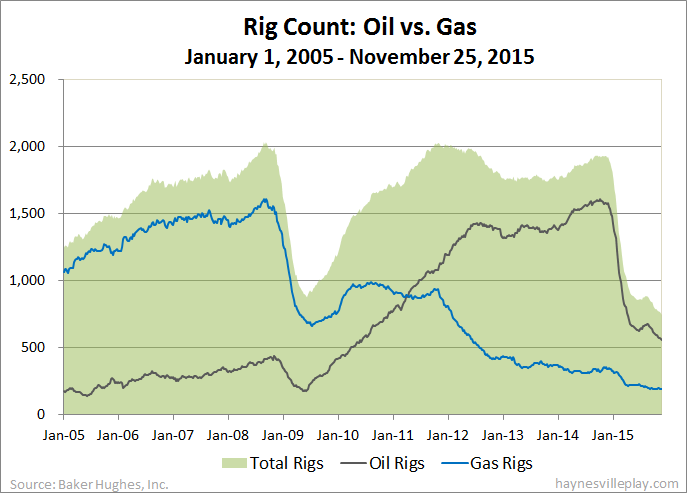 Oil rigs were down nine to 555 and gas rigs were down four to 189. By type, horizontal rigs were down 12 to 569, vertical rigs were up two to 109 and directional rigs were down three to 66. Among gas rigs, horizontal rigs were down five to 140, directional rigs were down three to 26 and vertical rigs were up four to 23.